Intermediate/Advanced. 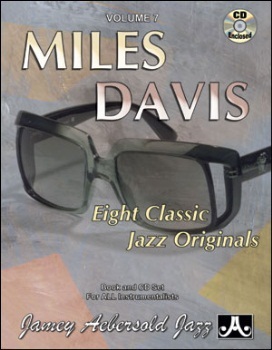 8 jazz originals written by Miles Davis, many recorded twice with one slower track for easier learning, and another track at a common performance tempo. A unique way to learn 8 of the most popular songs of the 50s. Most are considered jazz classics because most musicians have learned them, and all are interesting vehicles for improvising. The interesting chord changes, altered bridges, and logical melodies have been quoted in many compositions throughout the music world. Gain an insight into early Miles and gain an understanding of the transitional bop to post-bop period. Intermediate/Advanced.